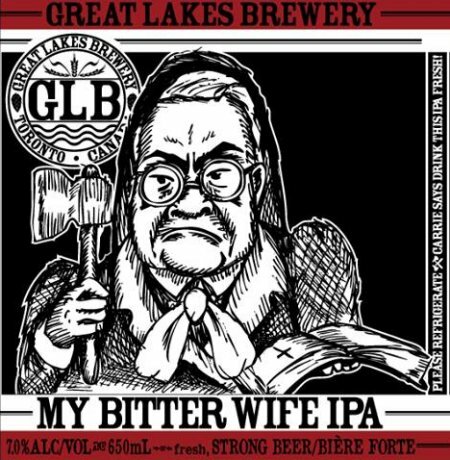 TORONTO, ON – Just under a year after it had a brief LCBO appearance as part of Tank Ten limited edition series, Great Lakes Brewery has announced that My Bitter Wife IPA is returning this week as an annual seasonal brand. My Bitter Wife IPA will be released tomorrow (Tuesday March 25th) at the GLB retail store, with a roll-out to select LCBO locations across Ontario to follow soon. It will retail for $5.95 per 650 ml bottle, and replaces the discontinued Orange Peel Ale as the Spring installment in the Great Lakes seasonal rotation.